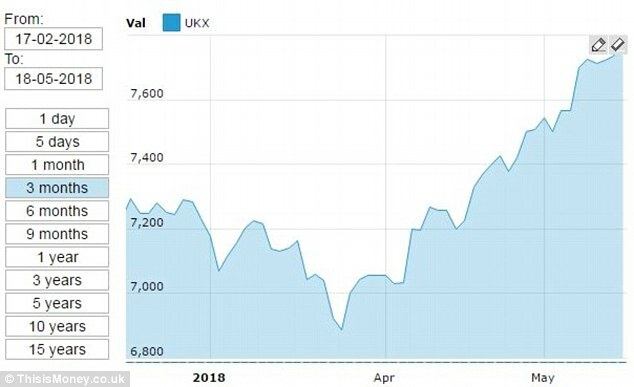 The FTSE 100 has hit a record closing high at 7,787.97, as the oil price topped $80 a barrel and a weaker pound helped the big exporters on London’s stock market. A rising dollar on expectations of more interest rate hikes in the US, combined with receding hopes the Bank of England might follow suit, have undermined sterling which has slid to $1.35 against the greenback. The oil firm-heavy FTSE 100 also got a lift from a rising oil price, which is on an upward path as investors fret about the impact of the US renewing sanctions against Iran. Britain’s leading stock market index is heavily weighted towards companies with big overseas earnings and the fall in the pound’s value boosts profits once they are translated back into sterling. This has been behind much of the FTSE 100’s sharp rise since late March, with the London stock market adding 900 points in that short period. Speculation that the UK might remain in the customs union after Brexit may have brightened the mood in the City too. ‘The death of the bull market has been greatly exaggerated, not for the first time in recent history,’ said Laith Khalaf, senior analyst at Hargreaves Lansdown. ‘The Footsie did endure a shaky start to the year, but after two months of steady climbing, has now regained and surpassed its previous high. 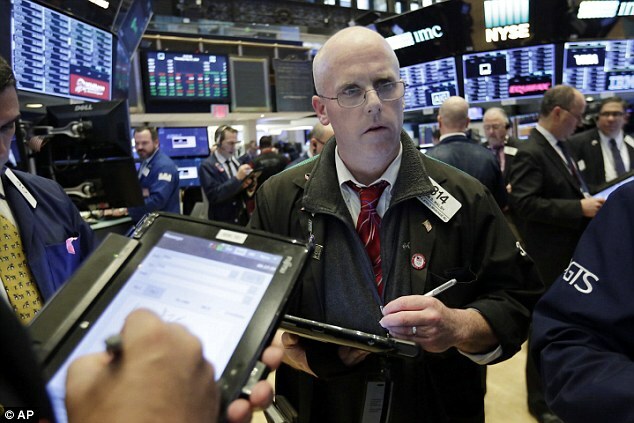 Joshua Mahony, market analyst at IG, said: ‘After a few lacklustre sessions this week, equity markets have resumed the positive move that begun in March. ‘The FTSE 100 and [Germany’s] DAX have set new multi-month highs, while the [French] CAC 40 has hit a level not seen since 2008. He added: ‘The rally in the greenback recently has been spurred by the change in sentiment regarding future monetary policy.